I've been writing a bit about the revamped caregiver engagement programming that we've been offering at my library. It's called POP! Parents of Preschoolers, and it's a bimonthly program for parents of young children to a) grow their support network with other parents of young children, b) build new skills and confidence in parenting topics, and c) see the library as a place that supports their role as parents. In November, I facilitated a POP! program on the topic of Screen Time--specifically new media (like tablets and smartphones), although we did talk about television, too. After a bit of social time in which the attending parents and I chatted about their kids, what the kids like to do, and questions about media, I shared some information from experts followed by some recommendations for screen time and their preschool-age children. We also ended the last fifteen minutes of the program with a hands-on exploration of some exemplary apps. Here's what we discussed. According to the American Academy of Pediatrics, co-engagement counts when it comes to media use. That means using media along with your child, for example in the same ways that you would read a book together. Additionally, parents should be aware that screen-free playtime is important, too, and make time to engage in that type of open play. According to Lisa Guernsey, author of Screen Time and Tap Click Read, parents should consider the 3 Cs when considering media use: Content, Context, and the Child. Content refers to the specific type of media and what it includes. Context refers to how, when, and why the media is being used--for example, because a child wants to look at pictures of zoo animals or because a child appears bored. The child refers to the parent's knowing their child and their needs best, and making media decisions with their child in mind. According to the National Association for the Education of Young Children and the Fred Rogers Center, the media use should be active, hands-on, engaging, and empowering. Choose high-quality apps. This means avoiding distracting noises and actions, glitchy performance, and in-app purchases. A good rule of thumb for quality is whether you, the adult, can stand to use it with your child for five minutes or more. Use media together. Children learn through interaction, so the process of reading, playing, and creating together allows them to learn new concepts, new words, and how media work. Build relationships using media. Commemorate family outings, videochat long-distance relatives, and work together to strengthen bonds. Don't be too hard on yourself. There are lots of messages out there about children and screen time. Remember that you know your child best, and that occasional screen time that isn't ideal isn't the end of the world. Ask questions when you read a digital story. For example, ask, "What do you think will happen next?" Reread a favorite digital story together and tell it yourself. Practice saying new words and learn their meanings while you read digital stories. Explore new experiences using media, including ones you couldn't ordinarily have in your everyday life (like looking at pictures of desert animals if you live in a temperate area, etc.). Record your child telling a story or talking about a creation. Make a photo show of pictures from a family outing. This program, at its core, is an example of media mentorship: it equips parents with expert information about young children and screen time, effectively allowing them to make the best possible decisions about screen time for their children and their family. I emphasized that every family and every child is different, so what screen time looks like at one house may not resemble what it looks like at another. And that's fine--what's important is that parents feel confident in making choices they feel are right for them and their families. And based on the post-program surveys, the parents who attended POP! Parents of Preschoolers: Screen Time did feel more confident in doing so following the program. I wrote recently about the revamped caregiver engagement programs here at my library, called POP! Parents of Preschoolers. This redesigned program is aimed at parents of children of a particular age--that is, ages 2 to 5--and it also has the goal of getting a core group of parents attending and engaged at multiple programs in the series. Getting repeat attendance can be a bit of a tough cookie, as I'm sure you've seen in some of your programs. Thus, when we were in the early planning stages for POP!, I had a bunch of conversations with colleagues in the youth department and marketing team to figure out ways to incentivize repeat participation. Here's what we're doing. 1. We're hosting all of the programs on the same day of the week and in the same 6:30-7:30 p.m. time slot. This scheduling consistency is to help caregivers to know ahead of time when, approximately, the programs will be happening. We still specify the date of each program, but this bit of consistency means interested parents know to keep Tuesday nights flexible, if not totally open. 2. We're letting attendees at one program preregister for the next program. That is, at the end of our October program, we offered to sign up attending parents for the November program on the spot. This strategy cuts down on chances parents might forget to register due to the million little distractions that pop up in life with little ones. And it's a bonus--we're signing up these parents before general registration is open. We normally don't allow advance registration, but since our priority is repeat attendance, we're making the exception for this program. 3. We're offering a simultaneous storytime for kids whose parents are attending POP! Evening childcare can be a huge hurdle for families with young children, and we're trying to help jump it by offering an extended storytime program, led by a librarian, in the youth program room (which is adjacent to the space in which the parents have their program). Tiny ones--kids under age 2--can stay with their caregivers in the POP! program, but anyone else is invited to join in storytime. They've been great programs so far. 4. We've created a takeaway--part parent information, part game--that parents can build from program to program. The takeaway is a branded card case with a set of cards for each program. The cards have two sides. The parent side has a tip or fact relevant to the program topic; for example, one tip from the Reading to Succeed program encourages using "grown-up" words with a child. The kids' side of the cards have colored shapes, each with a thick black outline, two of each. When we hand out the new set of cards at each program, we emphasize to the parents that the shapes can be used in age-appropriate games: kids can match shapes, they can match colors, they can make patterns, they can count, they can trace the shapes, etc. The POP! deck is a mobile preschool game with umpteen uses, and if parents use them they are also getting the tips and facts reinforced as they see them again and again. Parents have indicated that they like the cards and are excited about getting more at additional programs, so the incentive seems to be working. The deck concept is appealing for lots of staff, too, and I've got a few colleagues who are interested in adapting it for their own programs both in the library and off-site. So there you have it: what we're doing to incentivize caregivers participating in our POP! 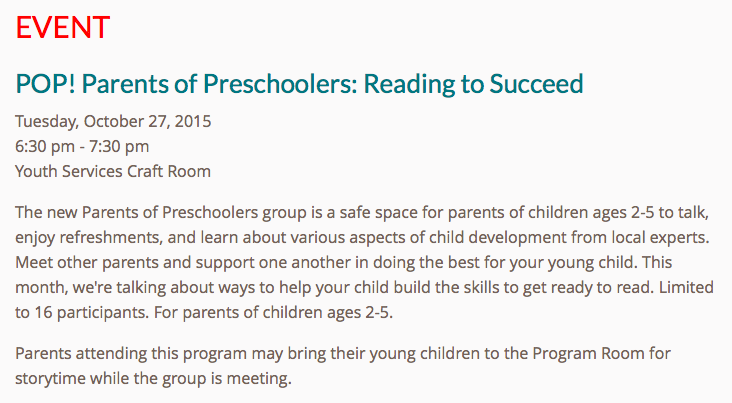 Parents of Preschoolers program series. How do you incentivize repeat attendance? My library has a pretty strong history of parent engagement programs, and these programs have been directed at caregivers of children from newborns through high schoolers. And while we've offered a solid variety of these programs in the past, attendance has varied. In assessing the successes and shortcomings of our previous programs, my colleagues and I hypothesized that a possible culprit of the varying attendance could be the fact that, month to month, programs were geared toward parents of kids of different ages--that is, there wasn't necessarily a consistency in target audience. Cut to this year, when we wanted to be a bit more intentional about targeting a specific group of caregivers: specifically, those with children ages 2-5. The resulting revamped program is a series we've called POP! Parents of Preschoolers. All programs (of which there will be 4-5 total this school year) are intended as a series, as one of our goals is to bring in a consistent audience. That is, we'd love for caregivers who attend one program to attend subsequent ones, in effect building on their parenting skills and confidence from topic to topic. More on the topics in a minute. Each POP! 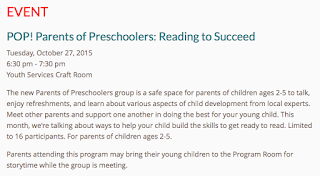 Parents of Preschoolers program follows a common format. First, there is some low-key social time. The library provides coffee, tea, and cookies, and the program facilitator--who may be a library staffer or a paid expert presenter--encourages friendly chatter with a goal of parents building a support network with other parents via their shared use of the library. Social time is about 15-20 minutes of the 60-minute program, and so far, after two programs, parents are expressing that they really enjoy getting to talk with other parents who have kids the same age as they do. The second part of the program is the parenting topic of the program. This is the bulk of the program, the part in which the facilitator shares information and expertise on the topic of the day. This isn't really a lecture--rather, it's a guided conversation, with hands-on examples highly encouraged. We want attending parents to build their confidence in applying what they know and learn to their parenting, and we're finding this model is a good one for what we aim to accomplish. I'm also considering a fifth program based on an area of need expressed by parents who've attended so far: sleep and bedtime routines. I've got a local sleep specialist in mind to talk to in the next few weeks to see if/how we can make that topic work. Parents will build skills and confidence in their abilities as parents of young children. Parents will develop a social support network with other parents of young children. Parents will consider the library a place that supports their role as parents of young children. I plan to write again in the next few weeks to cover some additional aspects of the program, including how we're trying to incentivize repeat attendance and a recap of the recent Screen Time program, which I facilitated. In the meantime, I'd love to hear what others are doing in the realm of caregiver engagement programs, and I'm also always happy to answer questions. Remember that time I made a cameo in a YouTube video for the BOOMbox, the STEAM space at my library? Well, this time around, I have more than a cameo--I'm the guest expert walking folks through the steps of how to make finger puppets! Check out the video for full instructions on how to make adorable, handmade, simply-sewn finger puppets that are perfect for use in storytimes or as gifts. They're a great simple maker activity, too, if you're looking for those at your library; we've had kids making Minion finger puppets galore, plus favorite superheroes, etc., etc. If you watched the video, did you catch the terrific puns? They were completely unplanned, I promise. Also make sure you catch the impromptu Little Red Hen scene at the end. Being a librarian is the best. I've got a guest post over on Heavy Medal today. The post started germinating for me when Nina Lindsay and I chatted about representation (or its lack thereof), and its effects, on award selection committees last winter as part of her SLJ piece on the 2015 youth media awards. 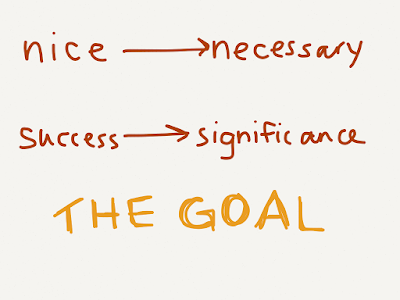 My post today is on the privilege of serving, and what I feel those with that privilege have a responsibility to do: to recognize their privilege in whatever form(s) it takes, and to challenge themselves to read and discuss outside the confines of their particular experience in a deep manner that is as cognizant as possible of the existence of bias. Again, it's linked here: "The Privilege of Serving" on Heavy Medal. Thank you, also, to Nina and Jonathan at Heavy Medal for having me to guest post. Problematic Trust: Why We Can't Just "Trust Child Readers"
There have been some conversations happening recently, both with substantial bits taking place on SLJ's A Fuse #8 Production, on a couple of topics that you might have thought wouldn't be connected. First there's Monday's "Are Historical Heroes Allowed to Have Prejudices in Children's Literature?" which responds to and expounds on conversation at Heavy Medal about Laura Amy Schlitz's The Hired Girl, out this year. That one, as the title suggests, explores the topic of characters in historical fiction having and/or expressing racial (and other) prejudices contemporary to their time period. Second is Tuesday's "Hands Off, Hussy! Hot Men of Children's Literature Under (Too Little?) Fire"--blogger Betsy Bird's take on how a recent New York Magazine piece harkens, in some ways, to her past Hot Men of Children's Literature series on her blog. Like I said, you might not expect there to be any connection between the two. By all means, I think you should read them both--and that specifically includes the thoughtful discussion in the comments as well. But what I want to respond to here is the common thread in these pieces: the idea that we should simply "trust child readers." The implied argument is that, if we "trust child readers," the problematic aspects of prejudices and sexism in literature can't really be that bad or have much of an impact. This, to me, is a milquetoast argument ignorant of the world in which we live. You see, I do trust child readers. I trust them to take what they read in books and understand it within the larger context of what they read and know and experience. The problem here lies in that the context available to children who live on this planet, and specifically in this country, is fundamentally prejudiced and sexist. And we simply cannot trust anybody, youth or not, to independently reject a prejudiced opinion or sexist construct when the very reality of day to day life perpetuates these opinions and constructs. It may happen some of the time, but that's not a probability I want to trust. We cannot "trust child readers" to use other books and what they know about the world to understand the underlying prejudice or sexism of a passage/character/plot device. We cannot trust because other books and what readers know about the world reinforces such underlying prejudice and sexism, rather than assisting in debunking or even pointing out the problematic aspects. Basically, we do not live in a world in which we can "trust child readers" because our world is one in which prejudice and sexism are so very entrenched that they affect all aspects of a person's life, from their education to what they see in their entertainment to who runs, and wants to run, their government. We also do not live in a world in which we can feel confident that the next book that a child picks up, or the one after that, or even the one after that will offer a different perspective, a less prejudiced or biased one. We know that the representation of people of color and other types of diversity in books for youth is consistently dismal, and often problematic when it's there at all. We know that publishing isn't getting any more diverse, so we're not going to suddenly get a pool of better diverse books by diverse authors who know what they're talking about as opposed to representation that is frequently stereotypical and rife with tokenism. So if children cannot rely on what they see in the world, and what they see in other books, can we responsibly say that trusting child readers is sufficient? I say, resoundingly, no. It's not sufficient. It's not okay, and in fact it contributes to these persistent and systemic problems of racial prejudice and sexism. What I do think is that, instead of affirming that we should just "trust child readers" and all will end well, we need to work harder. Authors need to work harder to make sure that when they include moments of prejudice and sexism, they do so because it is necessary to the story and they do so with nuance. Journalists need to work harder to consider the impact their pieces will have--because satire that perpetuates sexism isn't really satire, it's status quo. And librarians and others who want for children to read and enjoy great books need to work harder to demand that the books available to children in the first place are better, are representative, are respectful and not microagressive. It is very easy for all of us to shirk this work. That's what the establishment, which runs on privilege oppressing the "other," would have us do. I think we can be better. But I'm not just going to trust us to do better. I need to actively see and live it. Don't you? Folks have been actively ramping up our YouTube content here at my library, and this initiative has recently begun to include showing what takes place in the BOOMbox, our STEAM space. This September through December is all about textiles in the BOOMbox, and the first of our YouTube videos highlighting a textiles activity is available online. So take a few minutes to see how you can hack a t-shirt into a tote bag! Featured is my colleague Amy Holcomb, who runs the space. But be on the lookout for a cameo from yours truly. We celebrated Star Wars at my library this weekend. It was my first time being immediately involved in a big Star Wars program since my spring break programs in my former job, and while my current library has celebrated Star Wars for a few years now, the goal is to always add some new elements to the festivities. Of course we had some of the expected: trivia; a light saber craft; and a seek-and-find scavenger hunt. We also repeated using the green screen in our youth Digital Media Lab to take family photos and insert them into Star Wars backgrounds. What was totally new this year, however, was the main activity taking place in the BOOMbox, our STEAM space: Sticky Note Mosaic Murals. My colleague Amy Holcomb, who runs the BOOMbox, emailed me a few weeks back with a news article about a paper company, Viking Direct, that created such murals on their office walls. 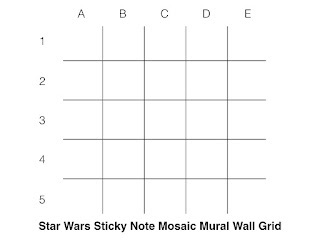 I looked at those pictures (and looked harder), and from there I created a 25-by-25 sticky note grid template in Excel, on which I designed Darth Vader and Yoda images. The individual grid templates are pictured below if you're interested. To make this activity work, one of my program assistants broke each 25-by-25 mural into 5-by-5 squares; these squares each had a designated spot on a grid, allowing a child/teen to take one grid square "map," gather their requisite sticky notes, and place their sticky note mosaic squares into the proper section of the full grid, which was measured out with string and tape on the glass BOOMbox windows. We had a grid on one window for the Light Side of the Force, and another on the opposite window for the Dark Side. The grid square "maps" are linked here if you'd like to use them to do this collaborative mosaic wall activity yourself (Light Side link; Dark Side link). As kids and teens came into the BOOMbox for the activity, they could choose if they wanted to help with the Light Side or the Dark Side. From there, we gave them a grid square map that would be within their reach--that is, lower squares for shorter, younger kids, and higher squares for taller teens. We were able to help explain the map-to-wall process as needed, but most kids jumped into the activity with a decent understanding of how to read their maps and add to the wall. Our Vader mosaic mural in progress. Note: because of the height at which our windows begin, I chopped the bottom row off of both grids for our particular activity. Were we to repeat this activity on a bare wall, however, I'd start with the bottom of the grid touching the carpet and build up from there. I just didn't want the grid to get too high for our activity--no ladders allowed. Kids really liked this activity, and their caregivers got pretty excited about it, too. It was great fun to overhear conversations about what kids thought the murals would be while they were in early stages--each mural got pieced together one square at a time, making it a cool puzzle to solve. Once our mosaic murals were completed, kids were welcome to come in the space to admire them and to create origami Yodas under the gaze of sticky note Yoda himself. Quite a fun way to weave our current BOOMbox theme--textiles--into our larger Star Wars Extravaganza! 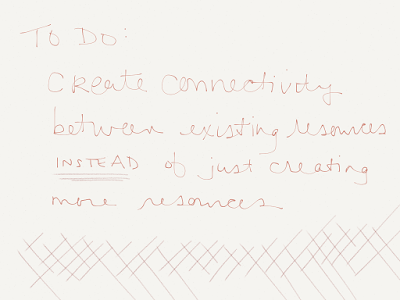 Have you done any of these cool sticky note murals before? Care to share your plans? Later this month, I'll be taking the train back home again to Indiana--specifically, to South Bend, Indiana, where I'll be offering a workshop for the St. Joseph County Public Library. 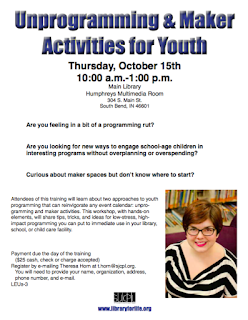 SJCPL has opened the workshop to folks outside of their library system, too, so if you're from northern portions of my home state (or southern bits of Michigan, even) and are interested in new ways of thinking about youth programming, come on over! Last Friday, I made a virtual appearance in New York. It wasn't a webinar--I wasn't available to do a live talk at the time the requesting librarians had specified. Instead, I put together a video on the topic they'd asked me to discuss: media mentorship. Now, there are plenty of resources online pertaining to media mentorship--no small amount of them through ALSC, available here--but I, too, often prefer to listen to someone talk about a topic rather than just read about it. So here it is: a video that introduces the concepts and implications of youth library staff as media mentors. If you've been looking for an intro but don't have an hour to dedicate to a webinar, this 17-minute video might be for you. 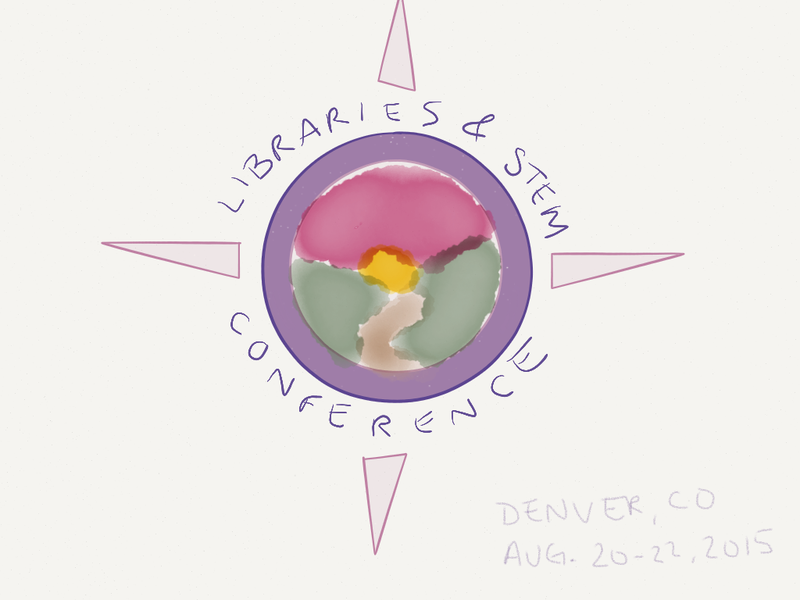 I'm back again to share my last big takeaway from the Public Libraries & STEM Conference, which I attended in August. As I've mentioned earlier, the conference was small and thus very concentrated. That meant tons of robust ideas throughout the entire 3 days, with lots to chew on and mull over. 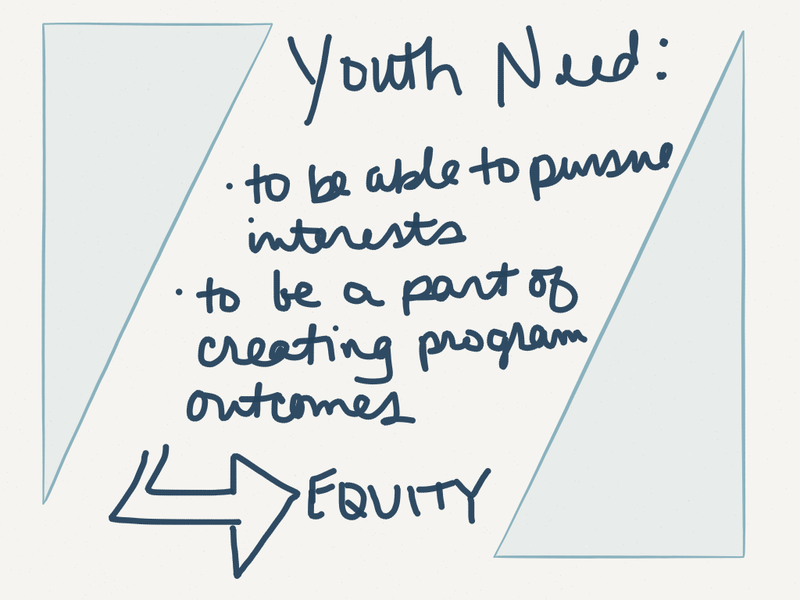 I've already shared a few takeaways with regard to training and collaboration; today I want to share what I heard, discussed, and thought about programs/services and equity. 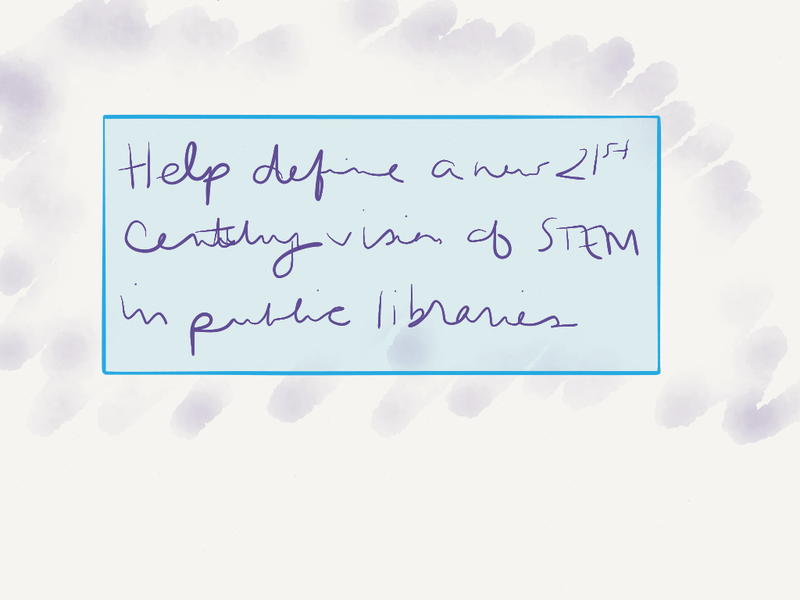 To quickly reiterate, one of the major goals of the conference was to help define a new 21st Century vision of STEM in public libraries. For me, it goes without saying that anything having do to with the 21st Century is going to necessarily have a massive amount of thought around how diversity fits in. Our country is getting more diverse, the wealth gap grows, and as public-serving institutions we need to take that into account in what we do and offer. 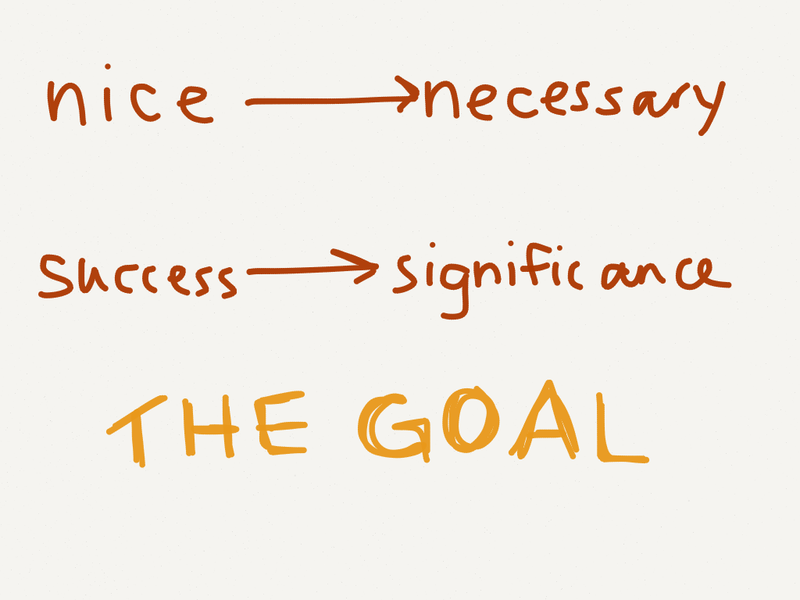 My three major takeaways from the conference had to do with training (blog post recap here); collaboration (blog post recap here); and equity, which is the topic of today's post. Susan Hildreth, from IMLS and a fellow of the Aspen Institute, gave a keynote address that focused on the outcomes report of the Aspen Institute Dialogue on Public Libraries. The report emphasizes that the future of libraries is intertwined with the library acting simultaneously as people, place, and platform. 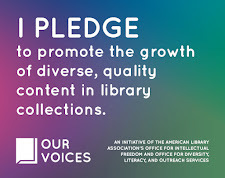 Libraries are the individuals who make it up and live its values; libraries are the physical spaces they are and offer; and libraries are a platform for those we serve and what they care about. A problem right now, says Hildreth, is that many of the people we purport to serve do not see us in this way. 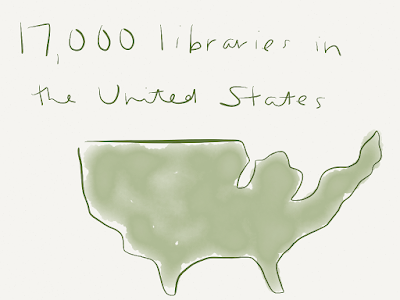 They may see us as outdated, as so many alarmist "The library is dying because who needs books anymore?!" articles will lead people to believe. They may see us as irrelevant to them and their needs because of their preconceptions about what we do and do not do, whom we do and do not serve. That's a problem, in no small part because we do do so much more than the general consciousness understands. 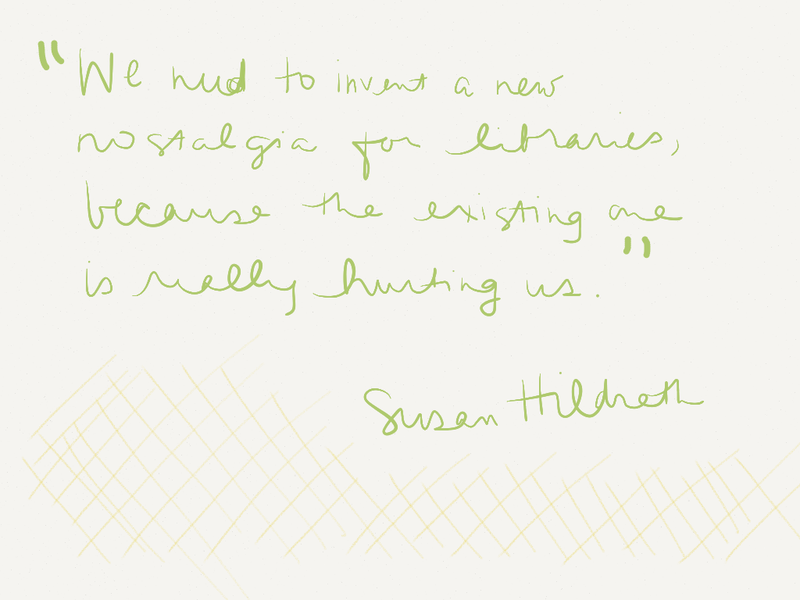 So, says Hildreth, "We need to invent a new nostalgia for libraries, because the existing one is really hurting us." It is up to us to iterate and prove what we do now, whom we serve. 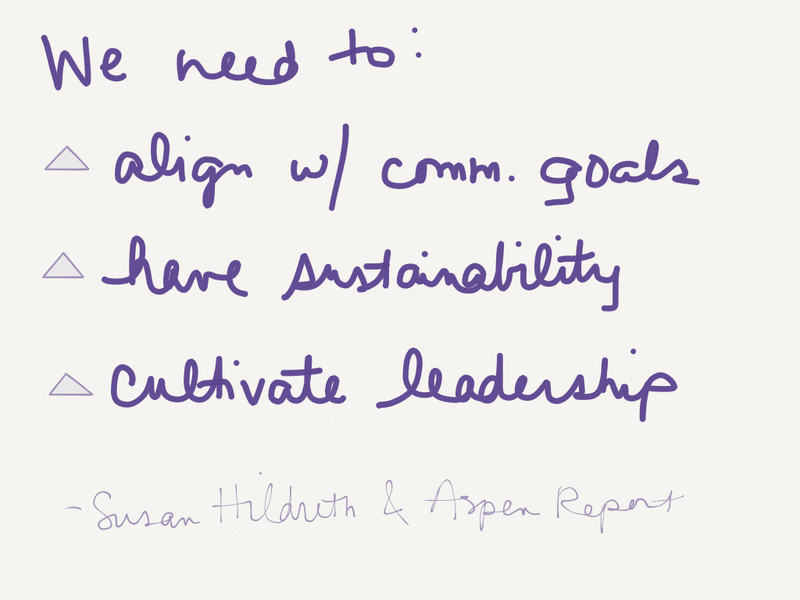 To do that as a profession, Hildreth says, we need to do a few key things. 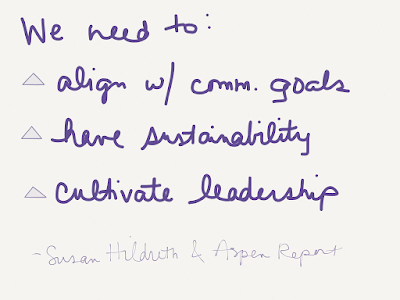 We need to align ourselves with community goals. We need to have sustainability in our communities. And we need to cultivate leadership so that we will institutionally continue to challenge what we are and what we can be. In terms of relating to our communities and aligning with their goals, I found one particular statement from Lee Rainie at the Pew Research Center to be indicative of the momentum we can seize. 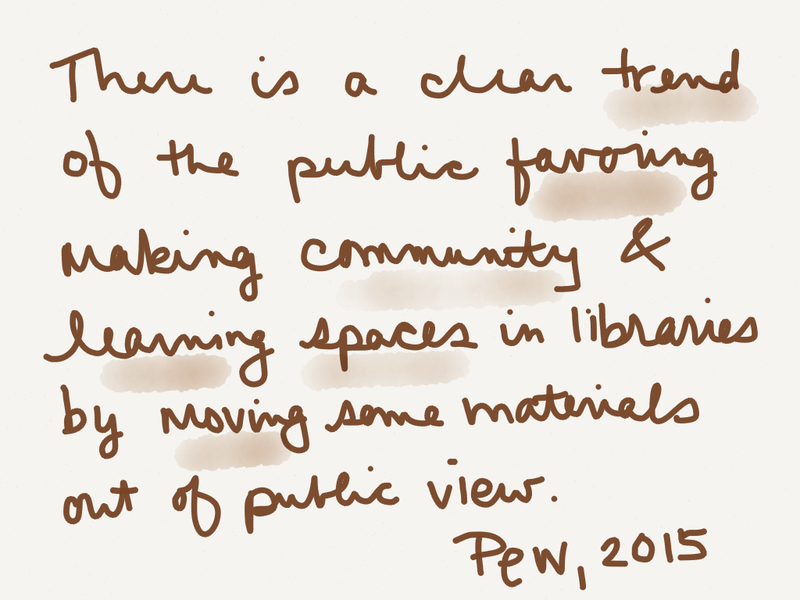 According to Pew and its 2015 report which will be publicly released imminently, Rainie said that there is a clear trend of the public favoring making community and learning spaces in libraries by moving some materials out of public view. Think about that. The public is okay with us relocating some materials--not totally getting rid of them, but relocating them--in order to create spaces for community engagement and learning. Frank translation: THE PUBLIC IS COOL WITH US BEING NOT JUST ABOUT BOOKS. Take that, alarmist articles. So how do we respond? In terms of the learning experiences and programming we offer, we need to recognize that learning is inherently social. People do it together, they do it on their own time, they do it for their own interest and motivations. And they do it in any number of ways. We at the conference were encouraged to think about this through John Seely Brown's model of the whole person. 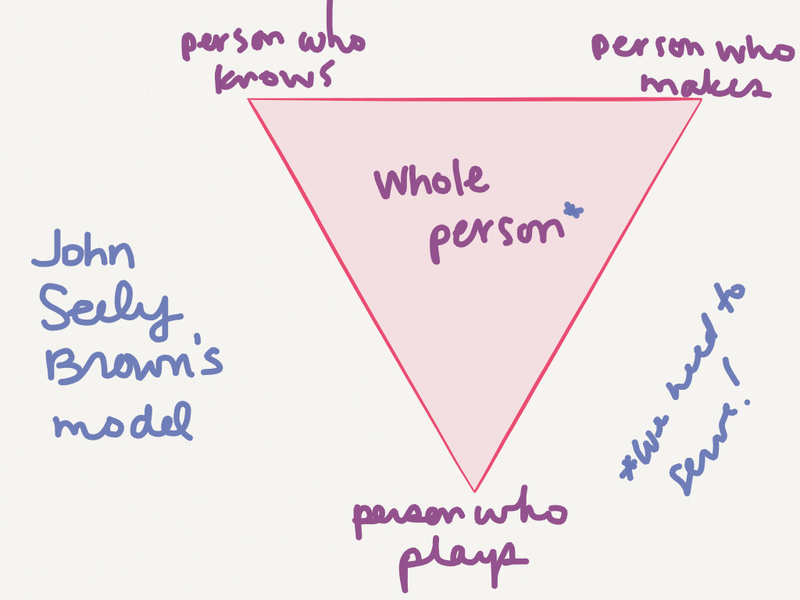 A whole person is comprised of three parts: a person who knows; a person who makes; and a person who plays. Libraries have arguably always been pretty good at serving the person who knows, but what about those makers and players? Are we serving them? How? And, most importantly, are we actually serving every whole person, or are we primarily serving the whole persons who fit our notions of an exemplary library user? 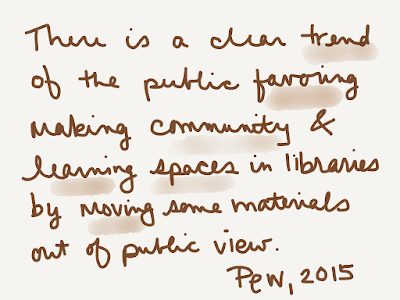 By and large, I think that libraries--whether intentionally or not--serve a "typical" patron. But this typical patron is not representative of the breadth and diversity of our communities. It was published after the conference, but this piece "Why We Need Diverse Libraries" by Rachel Smalter Hall comes right out and says that libraries are often biased toward serving one type of patron, at the expense and disservice of everyone else. This is where equity starts to come into play. How can we begin to really reach these underserved communities and underrepresented populations in our service area? According to Maddie Zeigler, an educational consultant to moderated a panel at the conference, we can start to do so through programs that satisfy a few key components. We can build trust with our communities through planning programs with them, as opposed to strictly for them; who better to know what they want and need than them? We can offer family events which allow entire families to participate together, a model that is much more culturally inclusive than a drop-off-your-kid-and-come-back-later model. We can articulate the educational value of our programs, which in turn can equip families of all backgrounds to determine what they want their kids involved in based on the benefits to them. We can also make programs culturally relevant and personally meaningful; why on earth would we ever expect a kid to engage in a program that doesn't interest them, and why would we expect all kids to have the same interests? And finally, we can anticipate and troubleshoot the myriad barriers to participation that many families experience when it comes to library programming. 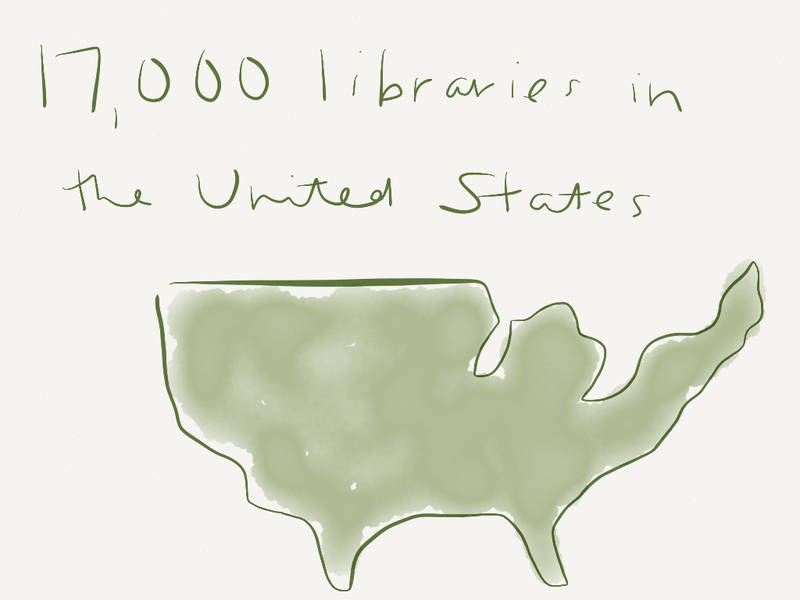 Do you find yourself saying that you only reach a certain population of your community in your in-library programs? That means there are barriers to participation to address. With these general strategies in mind, it is important to recognize that there is an additional component when it comes to reaching elementary and teenage kids. In order to have positive, productive learning experiences at the library (or in any setting), youth need to be able to pursue their own interests. That means that programs and services have to in some way touch on or include those interests. 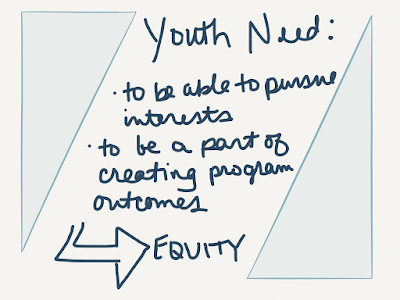 Youth also need to be a part of creating their programs and program outcomes. I think this goes a step beyond the traditional Teen Advisory Board model, in which teens help come up with program topics that the librarian will inject into a standard program format. Instead, this refers to full-on connected learning, in which learning ties to the unique interests, peer interactions, and academic success of each youth. Connected learning works because youth help set the topics, and the format of programs, and the intended outcomes. It allows everyone to engage, and for everyone to experience positive impact. The end goal of equity in programming means that we transform some of our own institutional expectations for what our programs do. Instead of offering programs that are nice for our communities, we offer programs that are necessary. Instead of talking about program success, we talk about the significance that the program brings to the lives it touches. While nice and successful are great things to be, necessary and significant speak to the fundamental importance and value of libraries. That's what I want to be doing. What about you? In the latter half of August, I spent several days in Denver, CO, for the inaugural Public Libraries & STEM Conference. It was a new and relatively small conference--grant-funded and led by folks at the Space Science Institute and Lunar & Planetary Institute, with around 160 total participants from public libraries, STEM organizations, institutions of informal learning, and library thinkers and researchers. I was able to attend as representative both of ALSC and of my own library. I'm grateful for that opportunity, because I really learned a TON. Rather, perhaps it's more precise to say that I heard from many smart and inspiring people, which has left me we lots of little nuggets and bigger ideas to chew on. Either way, I want to share some of my biggest takeaways with you. 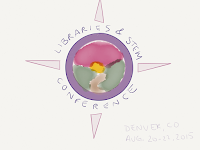 The conference logo aimed to combine a compass and a road leading to the horizon--a great visual metaphor for finding direction on the pathway of STEM in libraries. 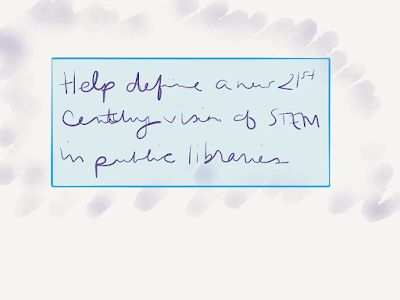 One of the major goals of the conference was to "Help define a new 21st Century vision of STEM in public libraries." 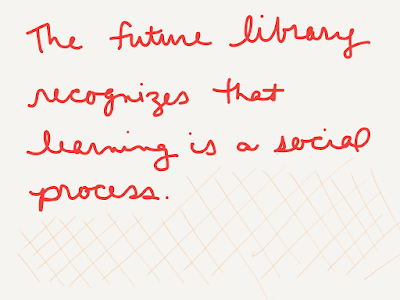 To that end, there was a lot of talking about what libraries are currently doing; what STEM institutions are doing; trends in libraries in general; and what libraries are best equipped and poised to do in this realm. 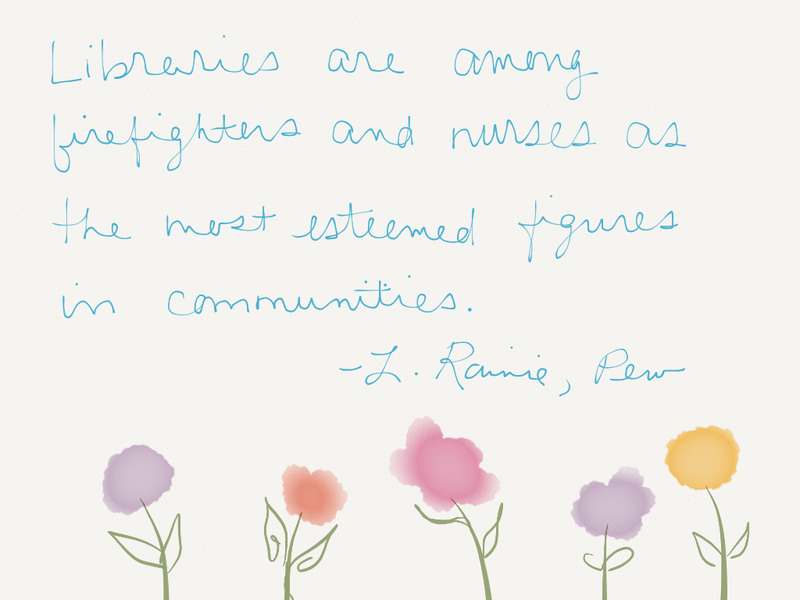 That's a lot of libraries, as and Lee Rainie from the Pew Research Center shared, we're right up there with firefighters and nurses in terms of community figures with the most public esteem and public favor. So people are favorable toward all those libraries we have in the U.S.
Falk also pointed out that research indicates that the primary reason people engage in STEM learning is to satisfy their personal interest and curiosity. So STEM learning is largely self-motivated, because people have an interest or something they are curious about. Libraries are an excellent place for this, as more and more learning is taking place outside of formal school contexts. Falk quoted that about 3% of a typical American's life is spent in formal schooling--and 97% spent elsewhere. If the library is one of the places that make up "elsewhere," and people are interested in STEM, it would seem to follow that libraries as places for STEM is a serviceable idea. And this is something that conference organizers and attendees have seen. 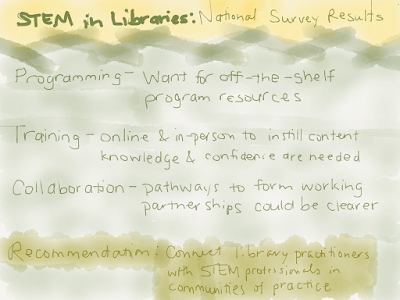 STAR_Net, a community of practice for libraries doing STEM, did a national survey to see what the state of the field is in this specific area. What they found ties in many ways to preparation, training, and support for the staff who will be implementing STEM in various ways in their libraries. 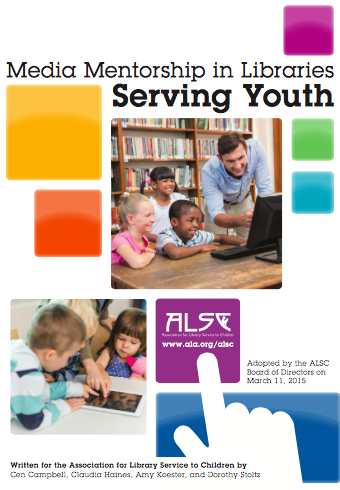 With regard to programming, this survey found that lots of practitioners are looking for off-the-shelf program resources that they can immediately adopt and adapt for their libraries. In terms of training, these same staff are interested in both online and in-person training opportunities to gain content knowledge as well as confidence to offer STEM learning in the library. And finally, it found that staff would like a clearer pathway toward collaborating with community partners when it comes to STEM. 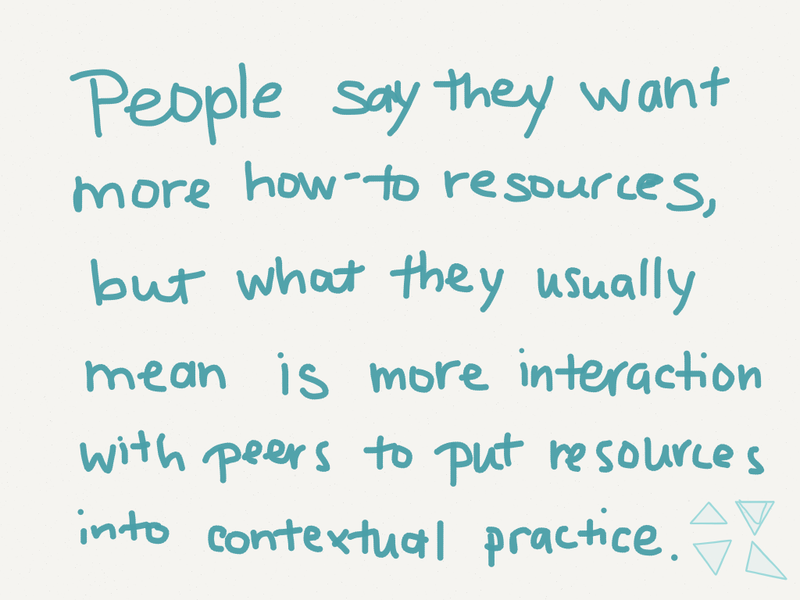 In exploring the survey responses and data from interviews, what becomes more clear is that people say they want more how-to resources. But that statement is just part of the issue, the easiest bit to articulate. 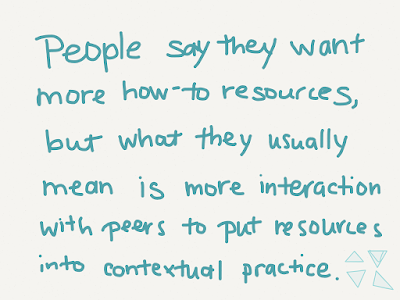 The resources are just the front end of the equation; the rest is having interaction with peers and colleagues who can help put those resources into context and practice in practical ways. It's the difference between having a resource manual alone or having a manual and a colleague to go through it with you. For libraries, STEM practitioners, and folks invested in informal learning in general, this means that we need to refocus some of those energies that we've all been putting into developing our own unique resources. 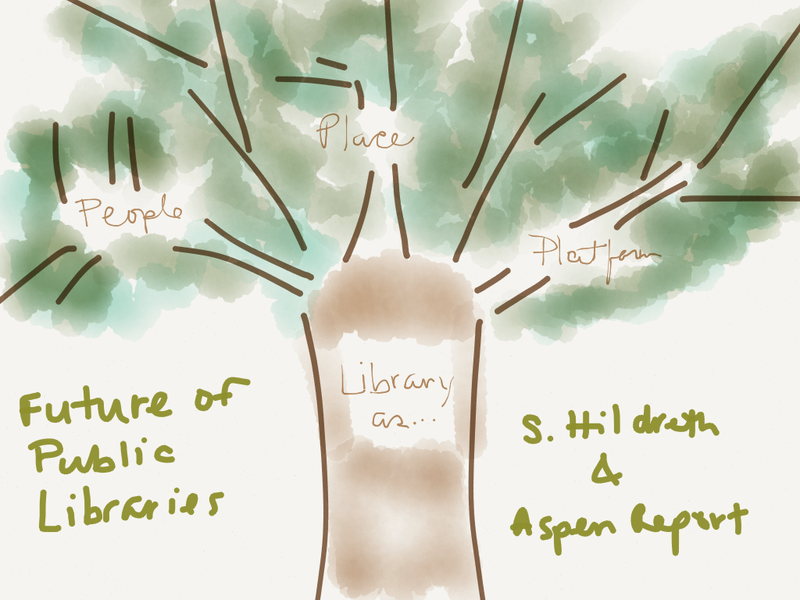 There are plenty of resources available, and the trend of all libraries wanting to create their own from scratch is an instance of reinventing the wheel. 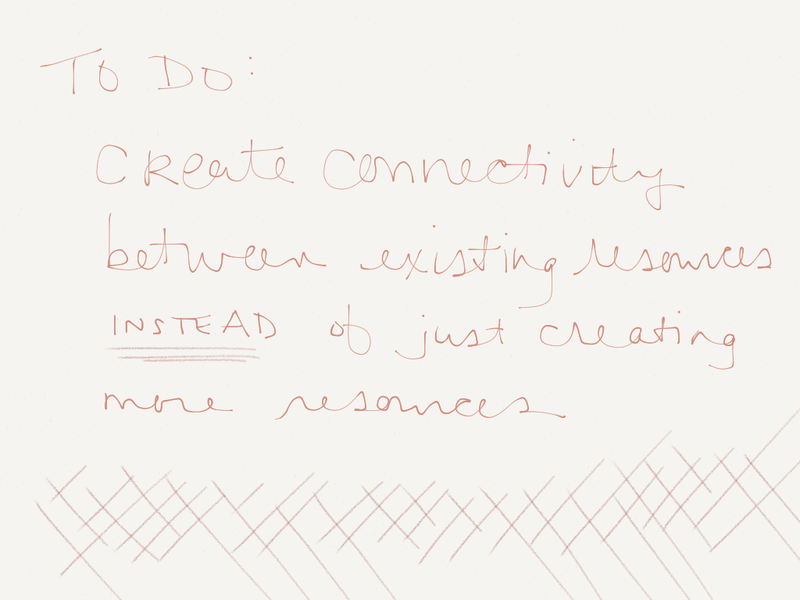 A better use of time and energies would actually be to create connections between people and resources that already exist--letting practitioners know what is already available to them rather than asking someone to start from square one. This comes down to people. What can people do to share what they know, the resources they've created/found/used? 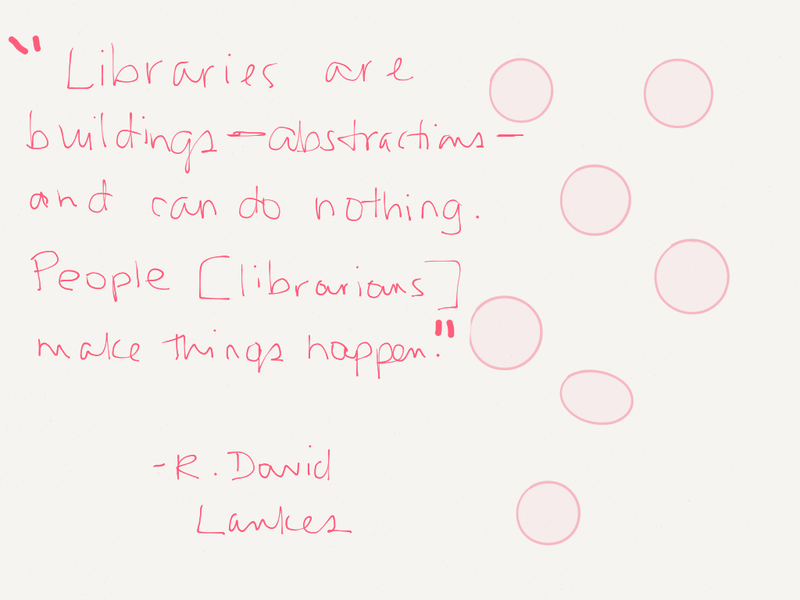 David Lankes spoke in his keynote about how libraries themselves are just buildings; as a concept, they are abstractions and thus cannot do anything or have an impact. 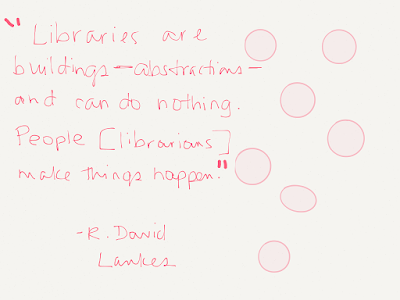 It is the people in libraries, however, who are real and who can do things and who can create impact. So it's up to people. If practitioners and would-be practitioners of STEM in libraries need to be connected to resources to learn and gain confidence, then it can follow that libraries are the best positioned to help meet this need. 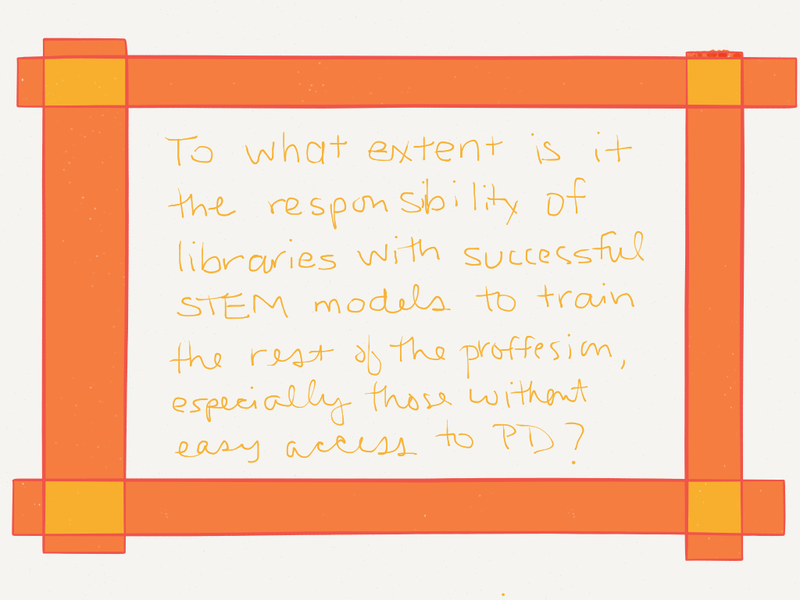 So perhaps my biggest takeaway on this point of training and informal learning is really more of a question: To what extent is it the responsibility of libraries with successful STEM models to train the rest of the profession, especially those without easy access to professional development? 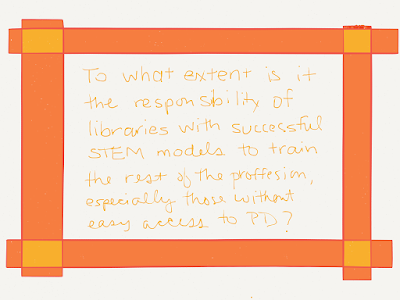 If I'm already doing STEM in the library, and as such have garnered experience and created and gathered resources, in what ways it is my responsibility to share my experience and resources with those libraries who haven't had that opportunity, or who are craving more training and context? If we have it, shouldn't we share it? If training as needed, and it is within our capacity to train, shouldn't we train? I'm inclined to say "yes" to this question in general, although at some point questions of capacity and institutional priorities come into play. But as a general ethos, don't you think our training one another when it's within our power is a good--and in some ways progressive--concept? Exploring Water & Dissolving in Science Club, Jr. 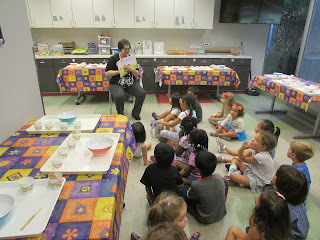 I led my final Science Club, Jr. program of the summer last week. The program has gotten such a great reputation that we had a huge combo crowd of folks who had registered in advance and folks who showed up day-of with a big interest in participating. And while I need to work with my fellow youth programming staff to work out the finer points of our registration/latecomers/walk-ins policies, I was glad to be able to allow 15 families--not just kids, as per usual--to participate. It was crowded, sure, but everyone was happily engaged in doing science. In this particular program, I wanted for us to explore some of the properties of water. Or, more specifically, how some substances will or won't dissolve in water. To kick off our program, we shared a read aloud of The Gingerbread Man. This picture book choice may seem odd at first glance, but recall the story: the gingerbread man meets his ultimate demise because he must trust a fox to carry him across a river--a river which would cause him to fall to bits should he try to swim. So we read the story, then we talked about what we observed happening. I was interested to discover that, when we started talking about why the gingerbread man couldn't swim, many children said that if he swam he would have melted. I would not have anticipated that bit of kid logic, although it of course makes sense to me in hindsight. This reasonable misconception opened the door for us to talk about what the word "dissolve" means and to practice saying it. Before we really got to experimenting, we talked about how we could tell that the liquid in our bowls was water. This line of questioning helped reinforce that scientists never drink or eat a substance that they don't know what it is. It's never to early for science safety skills! The first phase of the experiment was for kids to dump the cup of salt in the water and observe what happened. Kids were invited to stir their mixture with their popsicle sticks if they so desired. End result: the salt dissolves! Phase two was dumping the fruit punch powder into the water to observe what would happen, again with optional stirring. This time around, only some of the substance dissolved. We were able to tell some dissolved because the water turned the color of the powder, but we could also see some undissolved powder on the bottom of the bowls. This allowed us to introduce the concept of saturation, when no more of a substance can dissolve in a liquid. Advice: if at all possible, dump the bowls and refill with fresh water at this point. Phase three was placing the Skittles candies in the bottom of the bowl. 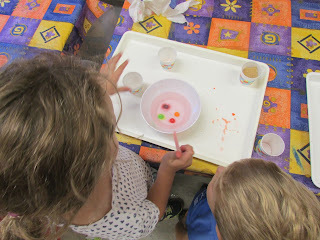 We just observed to start off, watching what happened to the colors of the candies as they sat in the water. The colors will bleed from the candies, ultimately leaving a white candy at the bottom of the bowl. Before giving everything a stir for good measure--because who can resist, really?--we talked about reasons why the color might come off but the whole candy might not dissolve. Our fourth and final phase of the experiment was the graham cracker, which most closely resembled the gingerbread man of our story. Once again, after placing the graham cracker in the water we observed. Kids were interested to see how the graham cracker became visibly soggy before ultimately coming apart in pieces. I heard some great parent/child conversations about what this experiment suggests about dunking cookies in milk at home. All in all, this was a great program--not too messy, easy for antsy young scientists to do the activities more quickly with their caregivers as desired, and a concept that kids encounter but didn't necessarily have the vocabulary to explain. It was a great summer for Science Club, Jr.! 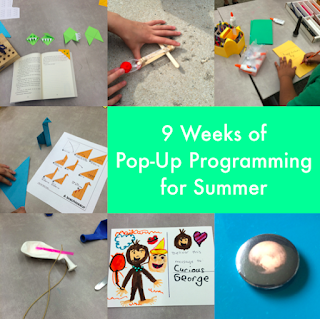 This summer, we offered weekly pop-up programs in the main entryway to the youth services department at my library. We changed up the activities each week and harnessed the power of summer teen volunteers to keep the pop-ups running smoothly. Full details ahead! What activities did we offer? How-to: Invite kids to make cards for time-appropriate occasions; for us, that was Father's Day and/or graduations. We also had plenty of joke books on hand for kids who wanted to just make "anytime cards." How-to: Encourage kids to write a postcard to their favorite author or book character. If you're able to, take photos of the kids' cards and tweet them at the authors and/or publishing houses. How-to: Encourage kids to choose their favorite planet (we did this activity to celebrate New Horizons and the first clear photos of Pluto) and then make a button to share it proudly. When did pop-ups take place? Based on the calendar of scheduled programs and a rough guess at general patterns of foot traffic in the summer, we opted to offer pop-up programs on Thursday afternoons for approximately 90 minutes. After a few weeks of running the pop-ups from 4-5:30, with seriously dwindling numbers for the last half hour, we adjusted the time to 3:30-5 p.m.
Who ran the pop-up programs? While I (or another staff member, the week I was out of town) was present in the youth department for the duration of the pop-up programs, a team of teen volunteers actually facilitated the pop-up activities from start to finish. I had a team of 5 teens who took turns rotating roles: one would be designated in-charge; one would make sure to take count of participants; one would move about the department to alert kids and families that an activity was taking place; and everyone would assist kids in completing the activity. Who was the target audience for the pop-ups? We wanted to offer activities that were accessible to children ranging in age from preschool through early junior high. Recognizing that that is a really huge range in age and ability, the litmus test for a program activity was whether a first grader might be able to complete the activity on their own/with little mediation. The volunteers were more than happy to assist kids who needed it, but we didn't want activities to be frustratingly complicated. How were the pop-up activities received? Really well! While there were some fluctuations in the number of attendees from week to week, we had a solid number of participants for every activity, and always a handful of kids at minimum who expressed really enjoying the activities. Would we offer summer pop-ups again? You bet! For next summer, I'll be considering not only what activities might be well suited to pop-up times, but also the best possible strategies for staffing them (volunteers? or part-time programming staff who can spend some work time making activities as well as leading them?) and when we offer them (scheduled? or truly pop-up, when we see lots of bodies in the department but no program on the calendar?). Lots to think about, including potential implications for school-year pop-ups. What have been your most successful pop-up programs and activities for kids? Exploring Gravity in Science Club, Jr. The majority of programs I've been leading at the library this summer--which is just a small slice of the myriad offerings that come out of the youth department, BOOMbox, and digital literacy specialists--are focused around some aspect of STEAM. I really enjoying figuring out interesting ways to introduce and explore basic STEAM concepts with kids, and last week's Science Club, Jr., was no exception. I start my Science Club, Jr., programs with a group story. The program happens in our craft room, which is on the small side; this means that, with tables set up for our activities, the read aloud happens with kids sitting on the floor and a few chairs in the back for some of the caregivers. Chairs get pushed out of the way when the story is done and hands-on activities begin. Our story to introduce gravity was Mini Grey's Egg Drop, a tale of an egg who just wants to fly. 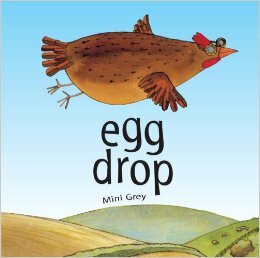 This is absurd, of course--eggs just drop!--but the story is a great one to talk about and ask questions throughout. It's pacing is perfect for young 3-year-olds to get a sense of what's going to happen to poor egg, but it's never so slow or obvious as to bore the older kids. Read it. It's wonderful. After the story and talking a bit about gravity, including a demonstration of me dropping different objects from a height to see if, in fact, they all fall, we moved to the activity tables. First up was the string/paper clip activity. I demonstrated holding the end of the string in one hand, arm extended, and holding the paper clip end of the string by my nose. I then let go of the paper clip, causing it to swing downward and move the string like a pendulum. I counted how many times the string moved back and forth before it came to a rest--until the force of gravity was stronger than the momentum of back-and-forth. I then had kids do the same. Kids reported how many times their strings had swung with a single paper clip, and I asked caregivers to help kids keep track of their number. Next we added a second paper clip to the first, repeating the experiment a second time. After counting the number of swings before that two-paper-clip-string stopped moving, we added a third paper clip for our final experiment trial. Kids gleefully shared their decreasing numbers as paper clips were added--allowing us to infer that as heavier items stop moving more quickly, gravity's relative effects can depend on the weight (mass) of an object. I like to conclude, whenever possible, with an activity that includes some take-away component, so we closed out our exploration of gravity with some gravity painting. 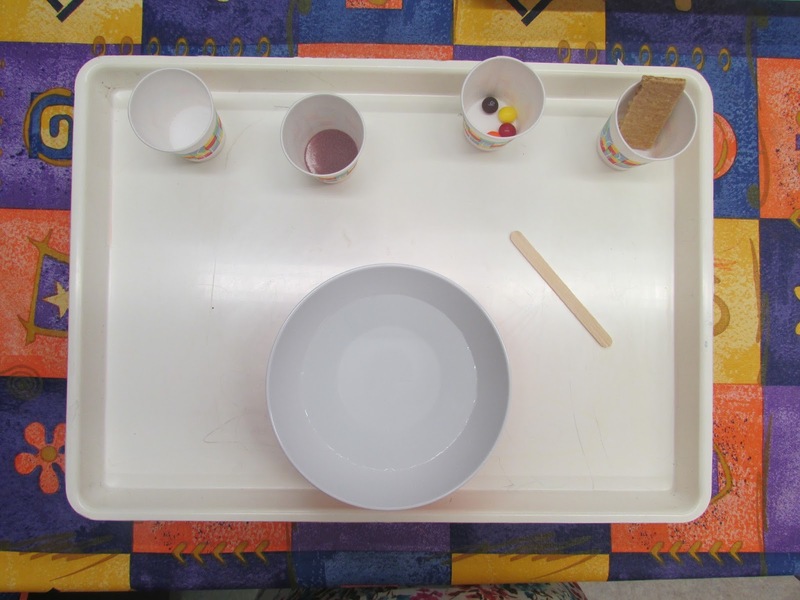 To paint using gravity, kids learned how to use their pipettes to pull the watercolors from the vials and drop them onto the top of their watercolor paper, which they or a caregiver held perpendicular to the paper towel-lined tray. With the paper standing up straight and watercolor dropped at the top of the page, gravity pulls the paint downward in a line--effectively doing the "painting" for you. I was thrilled to see kids starting to figure out that they could make lines in different directions by rotating their papers, and I even had a few kids who rotated their papers while paint was dripping. By using red, yellow, and blue paints, kids also had the opportunity to talk about mixing primary colors, which reinforced an earlier Science Club, Jr., program. All in all, we had a great time exploring gravity. I was pleased to hear several of the attending families continuing to talk out in the youth department about gravity and how it pulls objects toward the earth, and plenty of kids said they were excited to take their gravity paintings home to show additional family and friends. Success! Exploring Bubbles in Science Club, Jr.
Our science adventure opportunities for preschool-age children have continued at my library this summer, with seasonal additions of weekly Nature Play (outdoor sensory play time) and Tour the Sensory Garden (hands-on garden explorations) programs that have been quite well attended. We've also continued to offer Science Club, Jr., as a monthly offering. In our most recent Science Club, Jr. program, we explored bubbles. plenty of paper towels for inevitable drips and spills. We kicked off our exploration of bubbles with a story: Big Bad Bubble by Adam Rubin, illustrated by Daniel Salmieri. This delightful picture book suggests that, when a bubble pops here on Earth, it doesn't just disappear--it reappears in La La Land, where the monsters find bubbles terrifying. This fun, obviously fictional, story provides lots of opportunities for talking about what kids know about bubbles, making observations, etc. And a little bit of humor can go a long way to starting a program off well. Our first hands-on activity was to see what bubbles leave behind when they do pop. I placed sheets of white paper and the small containers of now-colored bubbles on each table, and kids were instructed to blow their bubbles onto their papers. Note: instruct caregivers to hold the bubble containers while their kids dip the bubble wands and blow bubbles, as otherwise spills are guaranteed. As kids blew their bubbles onto the white paper and the bubbles popped, they saw the various shapes and sizes, now in color, that the bubbles left behind. Abstract bubble art! Our second hands-on activity was to see if we could blow bubbles in shapes that are not spheres. We talked about circles and spheres, then I gave each child a chenille stick to bend into another shape. These chenille sticks--now in the form of bubble wands with triangle, square, heart, and moon-shaped heads--were then dipped into pans of bubble solution I had set on the tables. We had a bit of a bubble party as kids with different shaped wands took turns demonstrating the bubbles they were creating. Much to the kids' delight, this activity shows that no matter the shape of the bubble wand, bubbles are spheres. Note: I highly recommend ending your program with this activity, or doing it outside if possible, as the floor is a bit of a slippery mess after all the blowing of bubbles around the room. Thus ended our exploration of bubbles in Science Club, Jr. The topic seemed particularly apt to kick off the summer (this program happened early in June), and I heard many families say they'd be experimenting with bubbles at home as a result of attendance. 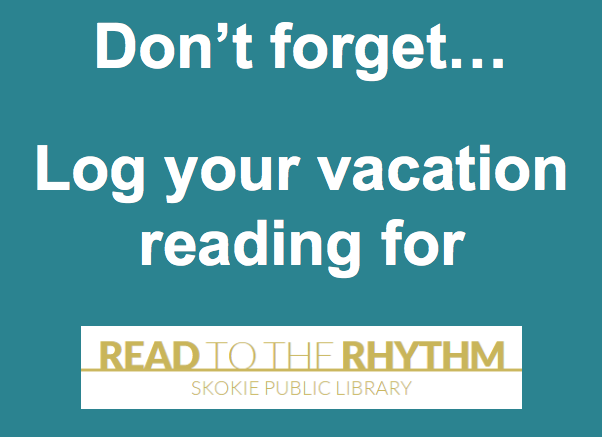 Summer usually means two main things at the library: summer reading and vacations. As youth librarians, we want those two things to go hand in hand; we want kids to include reading as part of their summer vacations. For many libraries, this intended connection has long led to heightened promotion of audiobooks in the summertime. After all, what better way to pass the time of a long family car trip than with a great book that's performed for you? With this summer ethos in mind, I decided to offer a program to highlight the particular value of the library's eresources during the summer. And so the concept for "Stock Your Digital Suitcase" was born. My idea for "Stock Your Digital Suitcase" was to allow my target audience--school-age children and their caregivers--the opportunity to learn about the different downloadable and streaming eresources my library offers, then give them time to start trying them out while I was in the program to help with questions and troubleshooting. Because I knew I wanted families who attended the program to be able to get hands-on and actually download a resource, I clearly stated in the published event description that attendees should bring an ereader and/or wi-fi-connected device (smartphone, tablet), their library card, and any password they might need to download the free eresource apps. I asked people to register for the program so I could gauge the general level of interest in this topic--if only one or two signed up, I was prepared to scrap the program and instead set up one-on-one appointments with the would-be registrants. While the program roster didn't fill up as quickly as some of our summer program offerings, I was pleasantly surprised that, come program day, I only had one slot left in my 20-person roster. Eresources is obviously a topic of interest for many of our patrons. I spent the first half of the program--about 30 minutes--giving an overview of the basics of my library's eresources. I presented these basics with the visual aid of some simple slides, which I had on my iPad mini and projected via Apple TV. We talked about what is required to use ersources: library card in good standing; device; and internet connection. And, because my library has eresources available for both download and streaming, we talked about the difference between those two models. The big takeaway: if you're going on vacation to a place where you don't know if you'll have wi-fi access, make sure to download everything before you leave! In this introduction to our eresources, I also explained that each of the platforms--in our case, 3M Cloud Library, OverDrive, OneClick Digital, Hoopla, and Zinio--requires users to set up an account with them. I emphasize that, while this initial setup process can feel a bit tedious, it is a one-time process. From there, I touted what each resource offers, running the gamut from downloadable and streaming ebooks and eaudio, to downloadable magazines and streaming comics, to streaming movies, tv shows, and music. To say that the attendees were flabbergasted at the breadth of content available who be accurate. I had created a little half-page handout for attendees to use in the second half of the program, which was hands-on trial time. The handout listed the web address of where to find the list of the library's eresources as well as the names and types of content offered by our different platforms. I included images of each platform's app icon as well to make locating them in the app marketplace easier. I moved about the room as the kids and their caregivers got down to business downloading a first app and setting up an account. The account creation aspect is the reason I specified this program was for families, including the caregiver: creating an account on each platform requires an email address (which many kids either don't have or don't know), and most ask you to check a box saying you are over 13 or have a parents' permission to proceed. Once the desired apps were downloaded and required accounts created, kids searched and browsed for the books and other materials (but primarily books, which made me so happy!) they found interesting, then tried their hands at downloading and/or streaming. At this point, we talked a bit about how eresources return themselves (no late fees! ), how best to browse for kids' materials, and how to put an eresource on hold. All of the questions were outstanding ones that really helped kids and their caregivers understand how to use these resources in the same ways they would the library stacks. 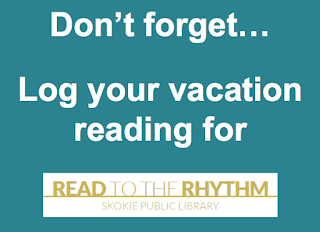 After the end of the program--which I ended with a reminder to add all ereading to kids' summer reading logs--lots of families left with smiles and statements that they couldn't wait to "pack" for their summer vacations. I'm thrilled that this program was such a success. As the staff member who purchases all the children's and teen content for our ebook/eaudiobook platforms, I know that we've upped our budgets for eresources in past years. The fact that there's a sizable audience of library cardholders eager to put these materials to use makes me happy. When I shared the success with my colleagues, they recommended possible times to repeat this type of program: perhaps after the holidays when devices have been received as gifts, or in advance of spring breaks. I'll figure out the logistics of when, but I think it's safe to say this program deserves some repeats to highlight a great pocket of our collections. I consider myself a pretty competent desk worker. When I'm on the youth services "Ask Questions Here" desk at my library, I genuinely enjoy advisory questions--it's a joy to get great materials into the hands of eager youth. I get a rush from a good reference query; it's like a sort of logic puzzle to find the specific resource or information that the child or caregiver seeks. And I feel like my natural curiosity serves me well in my job: I read a lot about literacy, education, developmental appropriateness, etc., and I am always happy to share some of the research and recommendations I've read when parents ask questions about specific materials, encouraging literacy, or appropriateness of a certain item for their child. I love doing all of these parts of the desk worker's daily trade. And, in a twenty-first century library, I don't think any of these services is limited strictly to books. Did you notice that I didn't specifically mention books and traditional reading materials in the first paragraph of this blog post? That was intentional. If my experience working at reference desks over the past few years has taught me anything, it's that library patrons--of every age--consume information widely and in many different ways. Books. Audiobooks. Downloadables. Web resources. Databases. 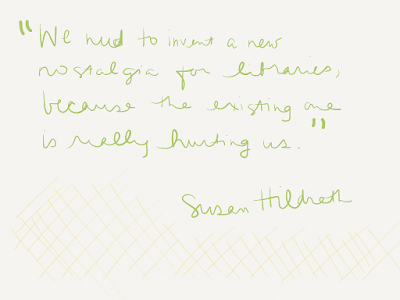 And, most recently, new media--predominantly apps. The way I see it, my job is to answer patron questions. If they ask me about books, I tell them about books. If they ask me about the appropriateness of a book for a child of a certain age, I share resources that can provide perspectives on that topic. I use the knowledge I have gleaned from my education, training, and years of service to given patrons the best possible resources in answer to their questions, whatever those questions may be. And if that holds true for books, it holds true for other types of media, too. That's one of the reasons I co-authored Media Mentorship in Libraries Serving Youth, a white paper adopted by the ALSC Board this past March. Media mentorship means providing children and their caregivers with the best possible answers to their queries, regardless of the type of media they ask about. Being able to answer those questions well--which is my job--requires me to be knowledgeable about all those types of media my kids and caregivers might ask about. I need to have some basic information about all those types of media, specifically information and recommendations from experts. And I need to know where to go to find reliable, quality information when I a patron's question requires me to find it. That's what being a media mentor means to me: supporting children and their families in their information needs and wants, and having access to and knowledge of the information that can help me do that. It's not about format--I am a media mentor when asked about books as much as when I'm asked about apps. After all, books are the original library medium. I don't find the idea of media mentorship controversial. It's not about technology; it's about children and families and doing the best we can to serve their needs. That's what it means to me to be a media mentor. Do you have a perspective or story about what it means to act as a media mentor to children and families in your library? Help us spread the word about the virtual release party for the new Media Mentorship in Libraries Serving Youth white paper! After Tuesday's ALSC Community Forum, we'll be taking to Twitter and blogs to spread ideas for media mentor programs and services. You can join us by using the hashtag #mediamentor.